Clarksville, TN – Local Predators fans are invited to join their friends and neighbors at a giant community viewing party to cheer on goalie Pekka Rinne, captain Roman Josi and the amazing Nashville Predators as they continue the 2018 Stanley Cup Playoffs and their quest for the NHL Championship. 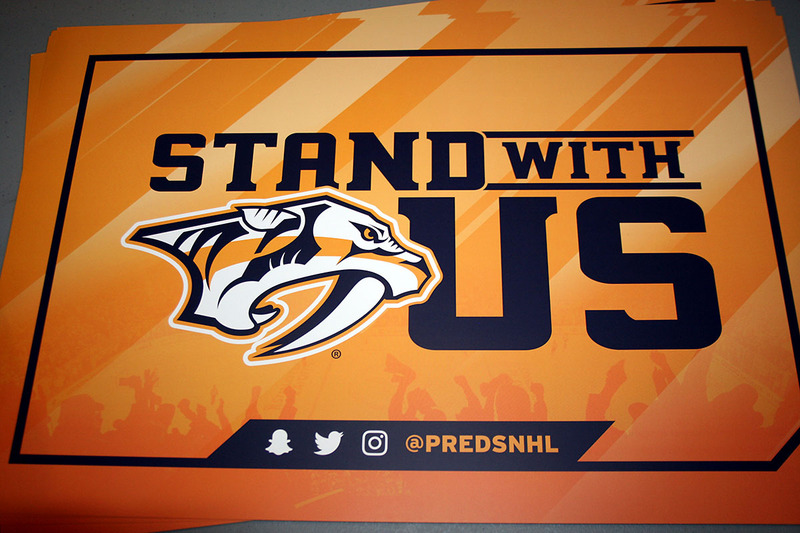 City of Clarksville invites Predators fans to join Game 7 festivities at Wilma Rudolph Event Center, Thursday. The City of Clarksville will host a free Predators viewing party for Game 7 of Round 2 against the Winnipeg Jets on Thursday at the Wilma Rudolph Event Center in Liberty Park. Doors will open at 6:00pm and game broadcast time is 7:30pm. The Clarksville Parks & Recreation Department and CDE Lightband will stream the games on two huge screens. Food trucks and beverage vendors will offer snacks, beer and soft drinks, and give-away fan gear will be distributed, completing Clarksville’s own version of the Smashville experience. 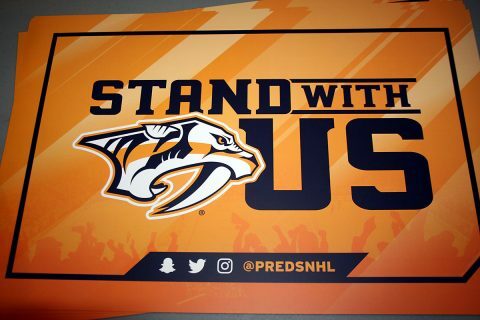 All of Middle Tennessee is rooting on the red-hot Predators, who beat the Colorado Avalanche in Round 1 after making history in the regular season by winning a Central Division title, a regular-season Western Conference crown, and the Presidents’ Trophy as the League’s top point-getter. The excitement follows the Predators exciting 2017 run to the Stanley Cup Finals, where they fell in six games to the Pittsburgh Penguins. Fans are invited come early, and bring family, friends and their own chairs and blankets and join the City of Clarksville for community rallies to cheer the Predators on to their first Stanley Cup. Tune into all the action on NBC Sports!